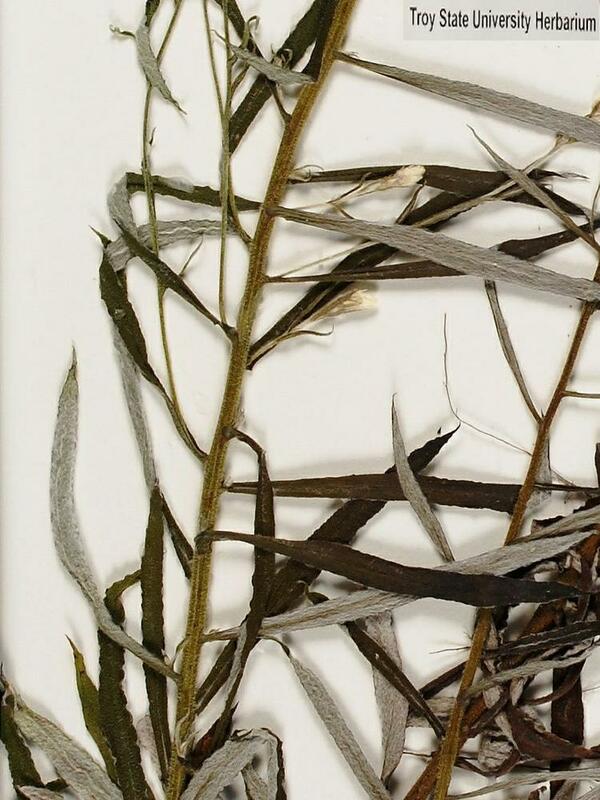 Weatherby's rabbit-tobacco is a sweet-smelling native annual that is extremely rare in New England. It is found in sandy soils of woodlands and clearings, usually where pitch pine (Pinus rigida) or scrub oak (Quercus ilicifolia) are growing. It has been collected in Massachusetts, Maine and New Hampshire. 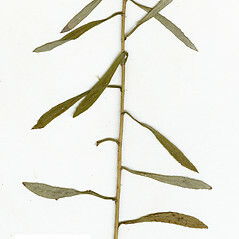 leaf blades decurrent on the stem as thin wings, acuminate at the apex (vs. P. micradenium, with leaf blades not decurrent on the stem, obtuse to acute at the apex). 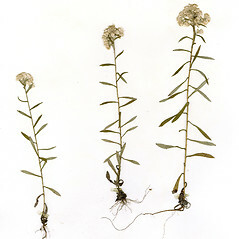 stems usually with persistent, white tomentum, sometimes only sparsely so, appearing gray or gray-green, eglandular or infrequently stipitate-glandular near the base, and capitula wth 4–8 bisexual flowers and 38–96 carpellate flowers (vs. P. micradenium, with stems rapidly losing most of the white tomentum, appearing green, covered with abundant stipitate glands 0.1–0.2 mm tall, and capitula with mostly 11–20 bisexual flowers and 47–78 carpellate flowers). 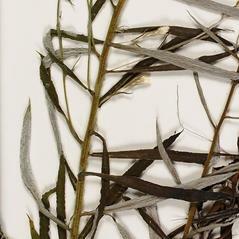 Weatherby’s rabbit-tobacco. 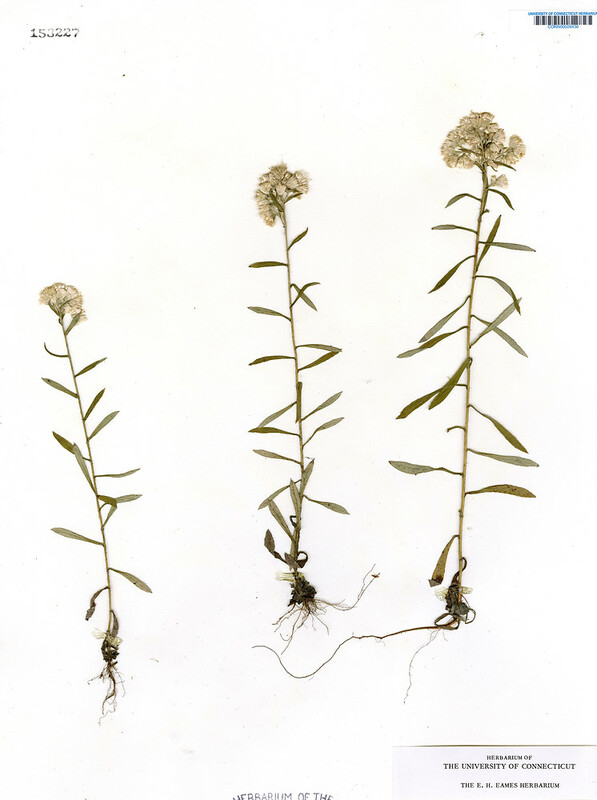 Gnaphalium helleri Britt. var. 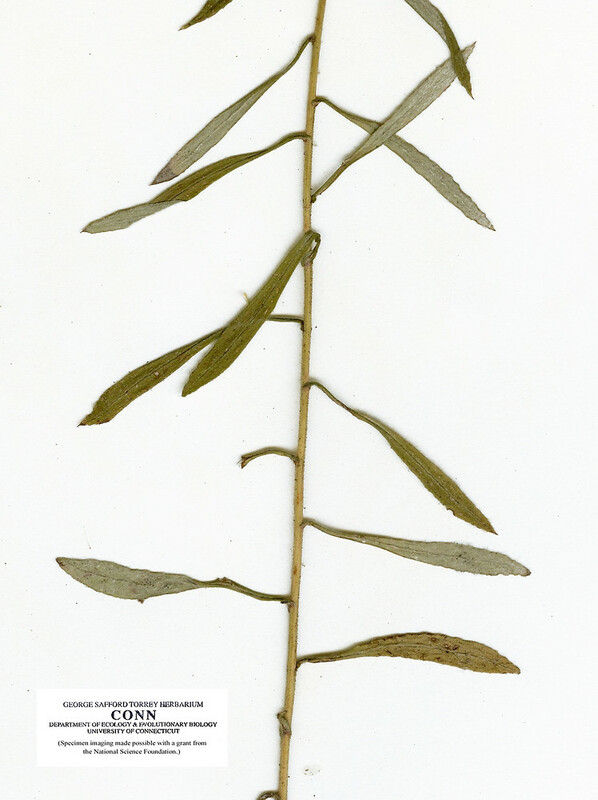 micradenium (Weatherby) Mahler; G. obtusifolium L. var. micradenium Weatherby; Pseudognaphalium helleri (Britt.) A. Anderb. ssp. micradenium (Weatherby) Kartesz • MA, ME, NH. Sandy soils of woodlands, clearings, and roadbeds, usually in association with Pinus rigida and/or Quercus ilicifolia.